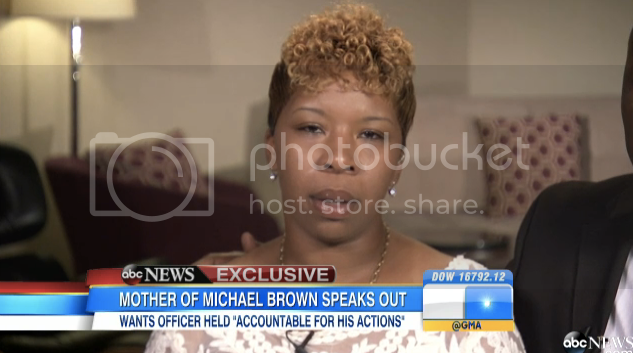 Michael Brown's mother, Lesley McSpadden, appeared this morning on Good Morning America to discuss the release of the independent autopsy. She appeared with her lawyer Benjamin Crump in St. Louis, Missouri. Lesley, visibly upset throughout the interview, offered few words to Robin Roberts, but she did express her dissatisfaction with the release of a video allegedly showing Mike Brown robbing a convenience store. “I feel like it has nothing to do with what he did to my child. Nothing,” McSpadden said.